A few weeks ago we did some gardening and needed some compost. We didn't need need a whole trailer load, so it seemed a bit silly to borrow a trailer, pick up the compost and drop the trailer back. It was also unappealing to put a pile of buckets of pungent mushroom compost into the back of the car. 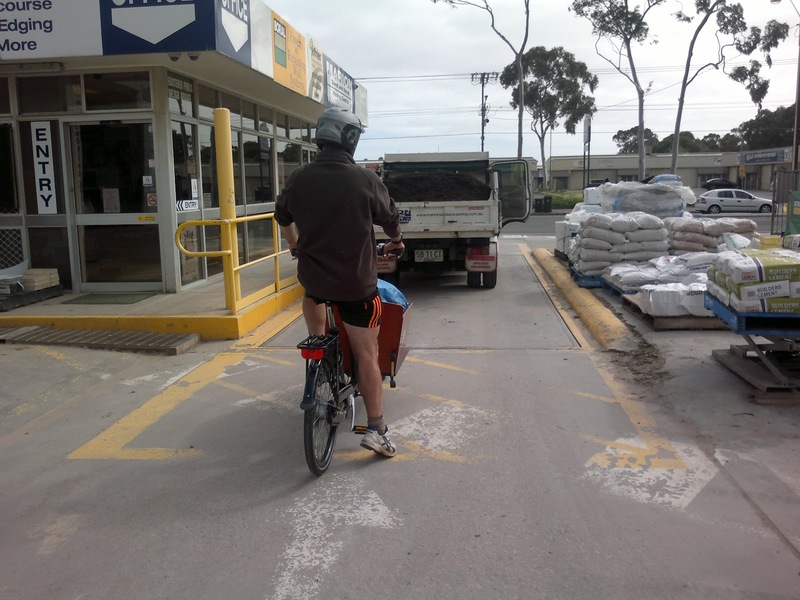 Then it dawned on me that the bakfiets was the perfect solution. Marion Sand & Metal is just a few minutes ride from home. It took longer chatting with the staff there than it did filling the bak up. I just folded the bench up, put a tarp in to keep the compost off the wood, and a bucket to pile it in with. 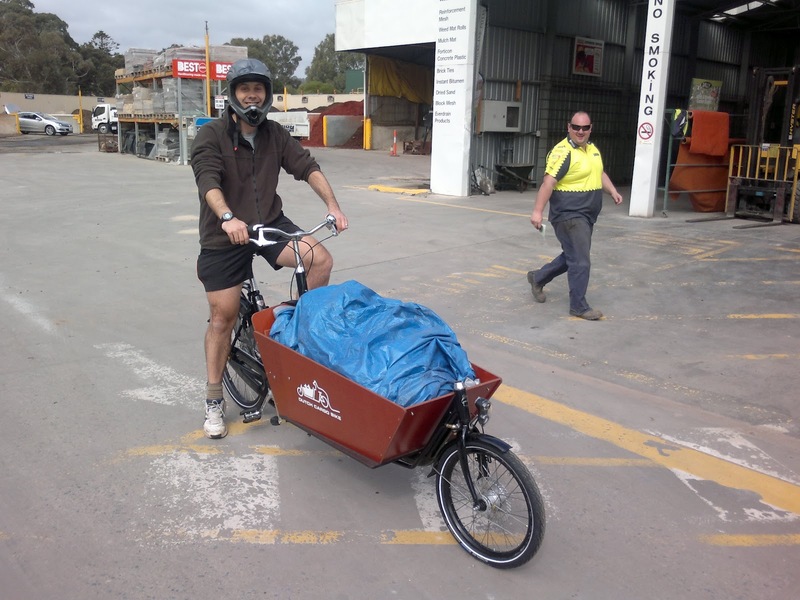 I discovered that my bakfiets and I together weigh about 130kg. Given that I weigh just over 85kg, that makes the bakfiets weigh about 35kg. 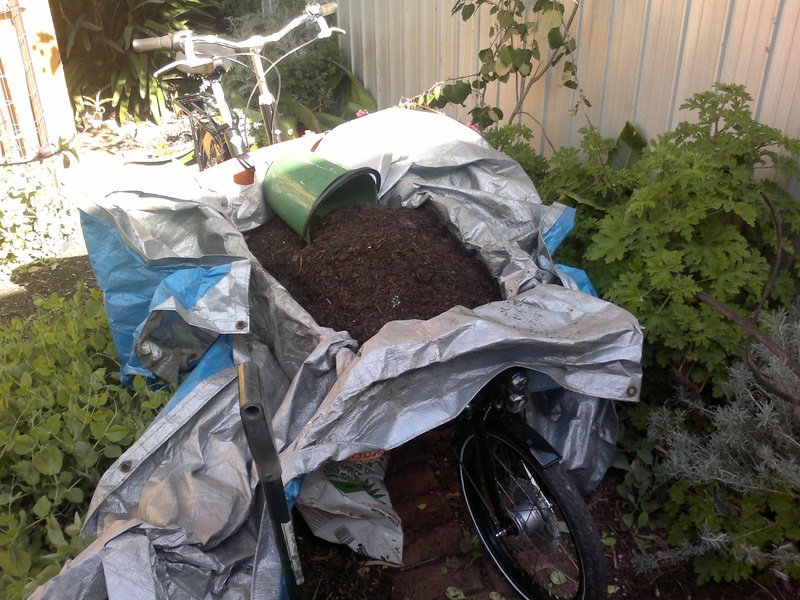 Without filling the box right up I got about 60kg of compost in. All loaded up ready to be weighed. Me lining up to be weighed after filling up. 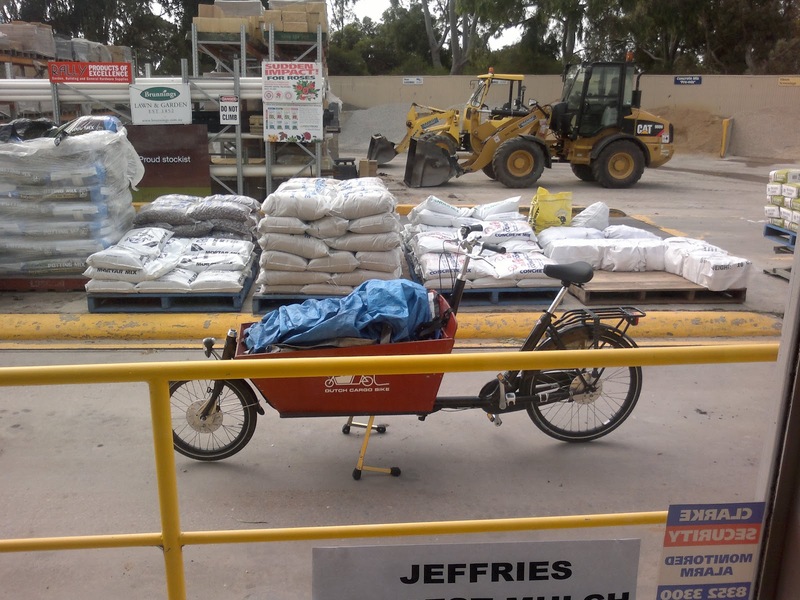 The bakfiets on the weigh bridge while I paid inside. Of course one of the nice things about getting the compost by bike was that the bike could be pushed right next to the spot in the garden where we wanted the compost -- much more convenient than carting it from a trailer.